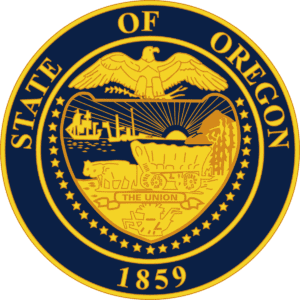 The state of Oregon is a little more diligent than many other states because the contractor licensing requirements are broad. Any contractor performing construction-related activity for compensation must be licensed by the state. Contact the Oregon Construction Contractors Board to determine if your operation must be licensed. Oregon contractors who have one or more employees must carry workers’ compensation insurance. If you are a one-man sole proprietor operation, you may purchase workers’ compensation but you are not required to. 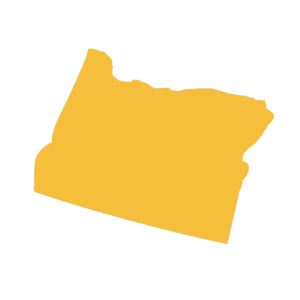 Oregon contractors can purchase required workers’ compensation insurance from a commercial insurance company or from the state-administered workers’ compensation fund. Contractors should visit Oregon.gov to verify their insurance requirements. Whether you operate your contractors business in Oregon or any other state, if you’re open for business your business is at risk from third-party legal actions or employment legal action. You can financially protect your business by purchasing an affordable comprehensive commercial insurance package from Fairbanks Insurance Brokers. The state of Oregon Department of Labor requires all contractors (unless specifically excluded) to carry workers’ compensation insurance. This coverage will pay an employee’s medical expenses if they are injured or become ill from work-related activities. Without a workers’ compensation policy in force, employers will be financially liable for medical expenses of an injured employee. Any vehicle that is owned or used by your contracting business should be insured under a Commercial Auto policy. A commercial auto policy provides higher liability limits and there are typically no limits on the number of vehicles or drivers on the policy. Your commercial auto insurance provides protection for liability and damages or the replacement of your insured vehicles. A contractor’s tools and equipment are always at risk for damage or theft. Contractors in all trades can depend on our Contractor Inland Marine policy to provide coverage for their tools and equipment and their employees’ personal tools. They may also use the policy to cover their “installation” risk. In most cases, a surety bond is required by licensing boards, commercial customers, and government organizations that you do business with. It’s important to understand that a surety bond is not insurance but similar to a line of credit that is available if because of your business operation, a customer must redeem it. It’s important to note that if a surety bond is redeemed by your customer, the funds will have to be repaid to the bonding company. Fairbanks Insurance Brokers is a leader in providing contractors insurance and is dedicated to providing Contractors and Builders the finest insurance protection at the lowest rates throughout the construction community. With savings up to 65% on General Liability, Workers’ Compensation, Commercial Auto and Bonds, you can count on us to do the heavy lifting and provide you the most competitive quote that includes all the discounts for which you qualify.